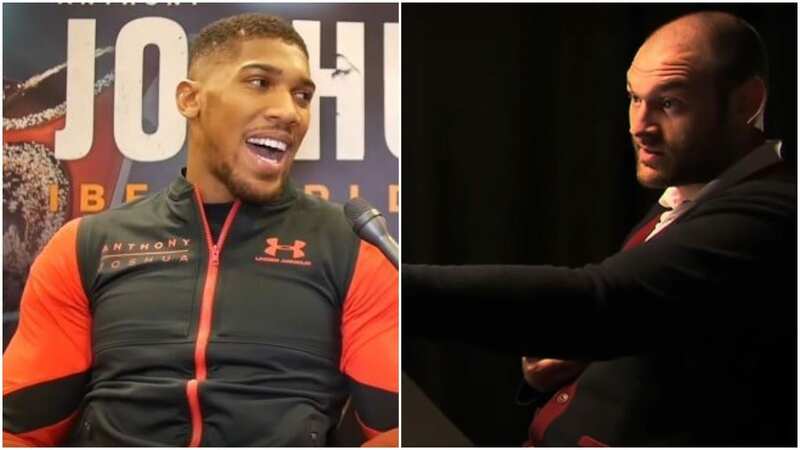 Former heavyweight champion Tyson Fury proposes Anthony Joshua fight purse demands online for the world to see – in what no doubt won’t have gone down well with Joshua’s handlers. Now that Floyd Mayweather is retired outside of Canelo Alvarez – Anthony Joshua is most definitely the next biggest world boxing star in the sport today. He’s amassed a huge social media and web following and has had fights beamed all over the world. A big name in global boxing, no doubt about it. Earlier this week his promoter Eddie Hearn laughed off the notion that Tyson Fury wanted a larger share of the fight purse than Joshua if they were to fight in 2018. It’s hard to see how those terms will ever be accepted but surely if there was ever a 50/50 fight straight down the middle in terms of sharing the money – it’s this one. The reality is both men need each other just as much as the other.